A shout out goes to Chelsea Olar for her great efforts to raise money for the SickKids Foundation with her One Girl Can Make A Difference dart shoot at the end of June. Chelsea and friends raised over $600 for the event. 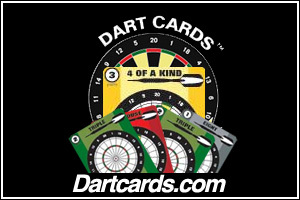 TorontoDarts.com helped out with donations of a set of Harrows darts and 2 decks of Dart Cards for prizes. We'll keep you posted of her next event, tentatively planned for this fall. Chelsea Olar (C in Blue), and the rest of the Gang. If you haven't heard about the idea behind One Girl Can Make a Difference, let me introduce you to a real life example of one girl who actually is making a difference. She happens to be a dart player, is still in highschool, and did I say, raises money for great causes! She's Chelsea Olar, a 16-year-old highschool student from North York. On June 26th, 2010 Chelsea ran a dart tournament to benefit SickKid's Foundation at the Owl's Club, a well-known local dart hub. Tickets were $5 for non-players and $10 for players, so even if you didn't want to play, you had a chance to contribute. 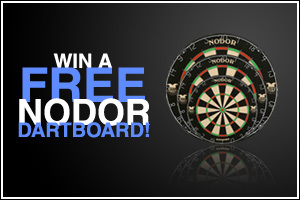 It's a great cause and is not just limited to dart players. So if you're a dart player we'd invite you to support future one Girl events. If you're not a dart player, you can still show your support by buying a ticket for the cause whether you play or not. This isn't the first great cause Chelsea has been involved in. In January, 2010 she donated 13 inches of her hair to Angel Hair for Kids a program of A Child's Voice Foundation. This is a great charity that takes donated hair and turns them into wigs for children who have lost their own hair due to a medical condition or treatment. These are some great causes Chelsea is not only supporting, but making us aware of as well. Tentatively, Chelsea's next event is scheduled for some time in the early fall.